At Triumph Condominiums anyone will find the life that thye've always desired. Stunning views, awe-inspiring interiors, irresistible amenities and an incredible proximity to downtown Toronto combine to create the city's very best lifestyle location. Dive directly into luxury. 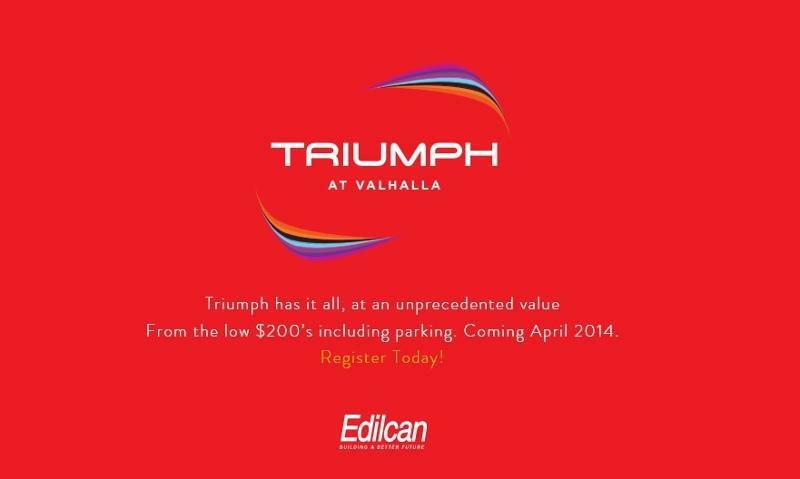 Dive directly into excitement at the Triumph at Valhalla. 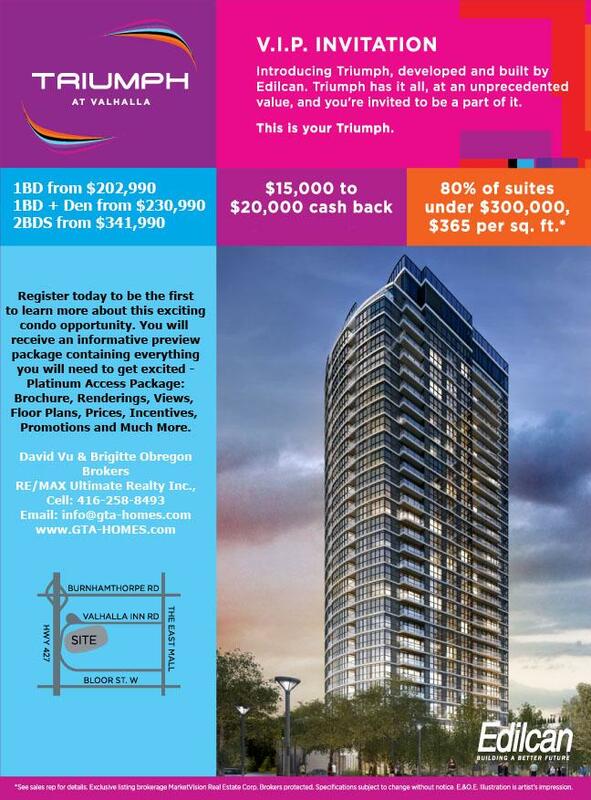 Triumph is located in one of Etobicoke's most exciting neihgbourhoods. At this ideal location, you have easy access to practically endless expanses of walking and cyling trails as well as many venues and parks. Just steps away, the TTC, Kipling Subway Station, Kipling Go Train station and Highway 427 can whisk you into the heart of the city in a matter of minutes. If you're looking to stay closer to home, the surrounding neighbourhood boasts a variety of dining options and shopping malls.